Now that summer is ending and Fall is upon us, I reflect back to my summer workout routine and realize that it was pretty insubstantial. But a new season is a great excuse to start or boost up a routine. This toning routine will give subtle definition in biceps and tighten up any areas in the arms that have been neglected. Aim to incorporate arm exercises in your workout regimen at least 3 times a week. Working up to three sets will give you some great results. 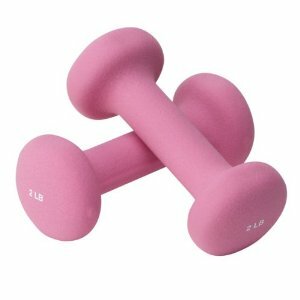 I use 5 pound weights to start (or more if you are already pretty strong), increasing in weight every week.